Telecoms group Eir has reported a dip in its third quarter revenues while its operating costs fell by 4% year on year to €118m. Revenues for the three months to the end of March slipped 1% to €317m, but the company said its EBITDA rose by 4% to €137m - in line with expectations. The company said the acquisition of the NJJ-led consortium is now complete. NJJ Group is the private investment firm of telecoms investor and operator Xavier Niel and the deal for Eir was first announced last December. Eir said its broadband customers were up 3% to 919,000 in its fiscal third quarter compared to the same time last year and it noted that 67% of its broadband customers are now on fibre. The company said that it had a "stable mobile base" with an improving mix of customers and more customers opting for its bundle offering. Eir had a total of 1,053,000 mobile customers, with 51% of these on post-pay contracts by the end of March. It also noted that 24% of households include mobile in a bundle. Last month, the company announced that it was shedding 750 jobs as part of a cost-cutting plan at the former State-owned business. 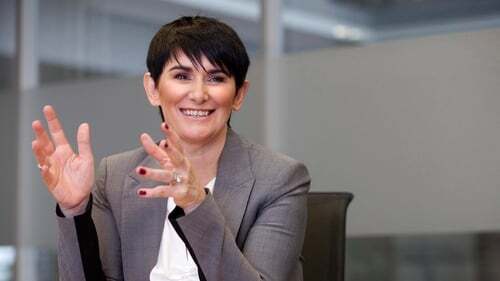 Carolan Lennon, Eir's chief executive, said the company's focus is on driving growth through investment in both its broadband and mobile networks while creating a leaner, more agile organisation to enable it to respond better to the needs of its customers. Ms Lennon said that Eir has completed over half of its 300,000 rural fibre to the home programme and its overall fibre rollout has now passed 1.8 million , or 75% of all Irish homes and businesses. She also noted that the company's mobile network currently delivers 4G coverage to 86% of the population. "We are focused on achieving our number one ambition - to provide the best mobile and broadband services to every household and business across Ireland," the CEO added.